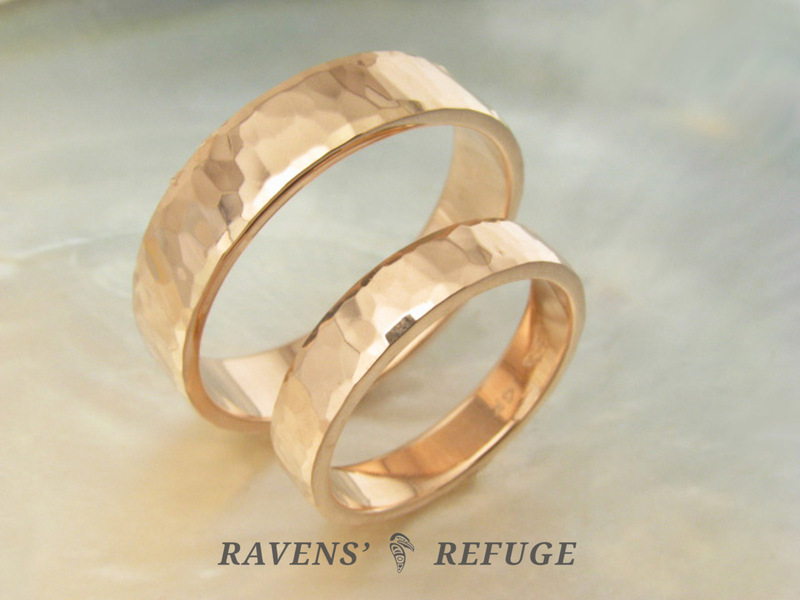 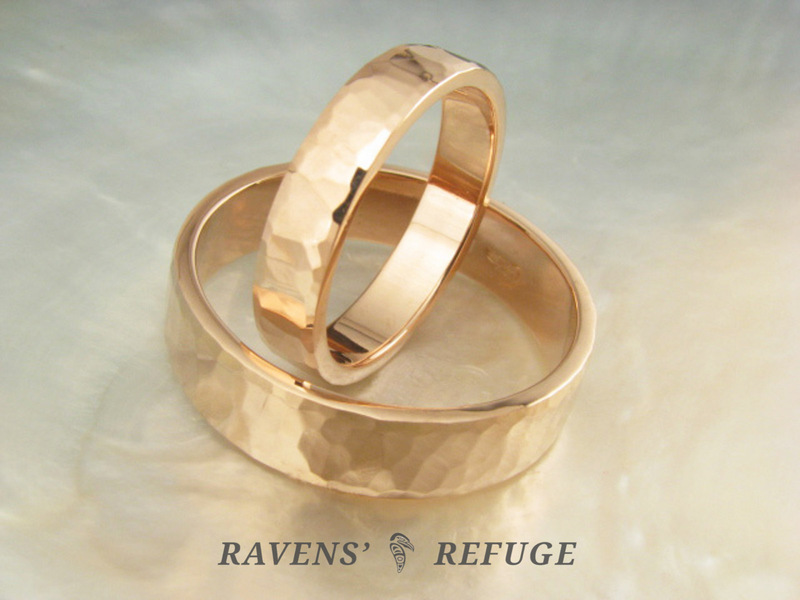 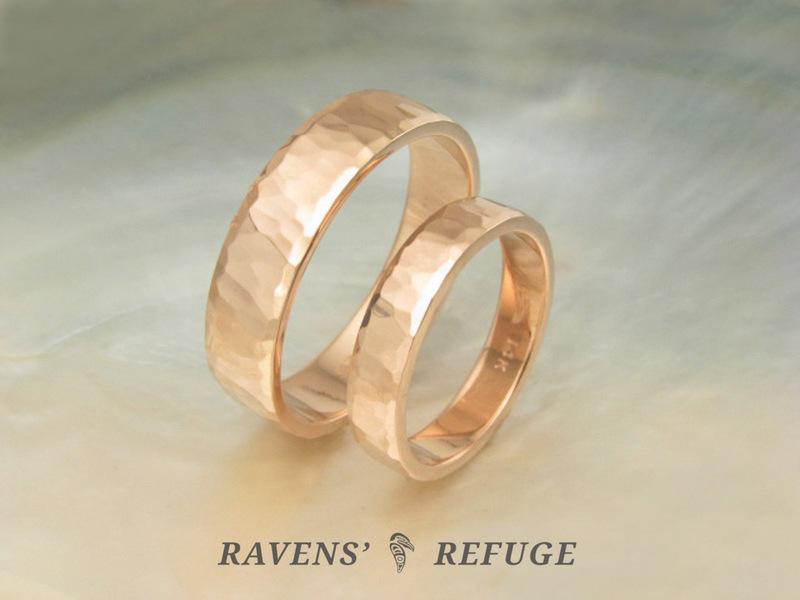 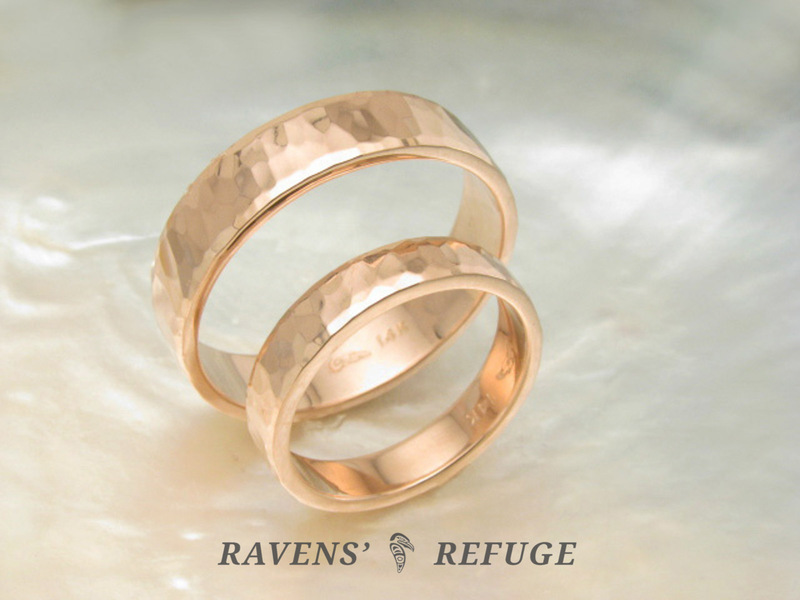 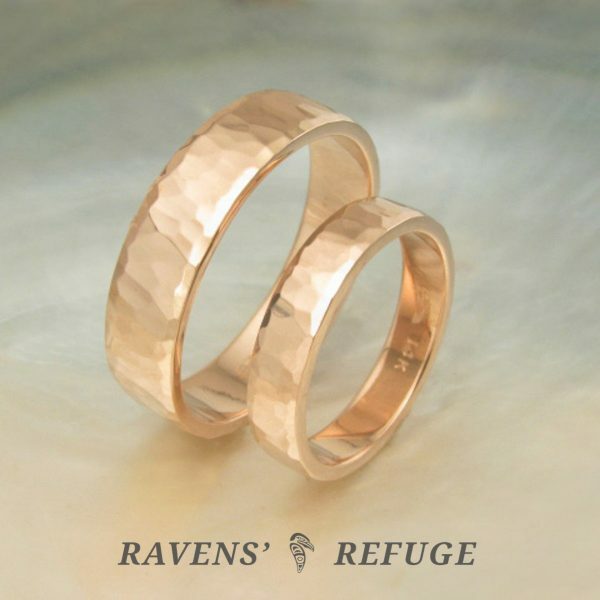 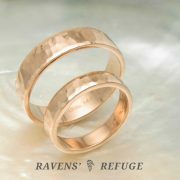 These matching hammered rose gold rings will be hand-rolled from a single ingot of 14k gold that Dan has alloyed and poured himself. 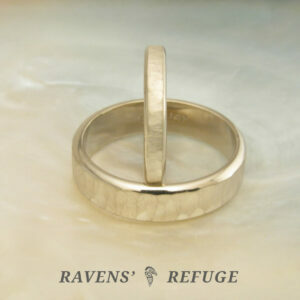 As such, the symbols of your devotion to one another will be created from the same source. 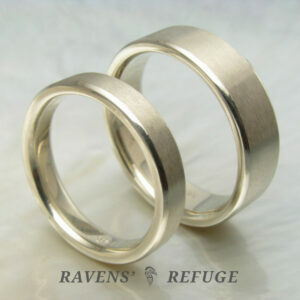 And because the metal is cold worked, hand forged bands like these are denser and stronger than bands that are cast. 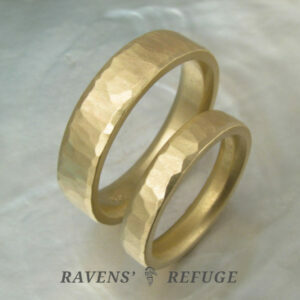 The larger band pictured is hand rolled from hand-milled stock that is 6mm wide and 1.5mm thick. 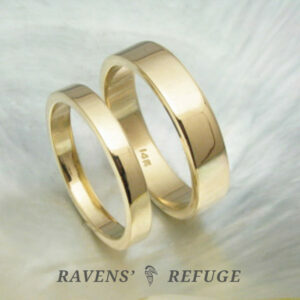 The stock of the smaller band is 4mm wide and 1.5mm thick. 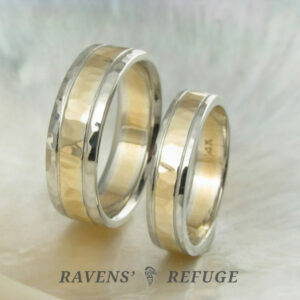 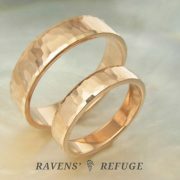 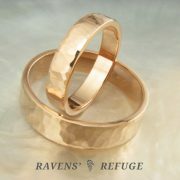 The listed price covers ring sizes up to 10, and reflects a discount for purchase of a set.